Spectacular and charming two storey villa recently refurbished with parquet floor, air conditioning, 4 double bedrooms and 3 bathrooms. Situated in one of the quietest zones of San Jaime, has a spacious sun terrace with private pool, garden area and an unforgettable views. 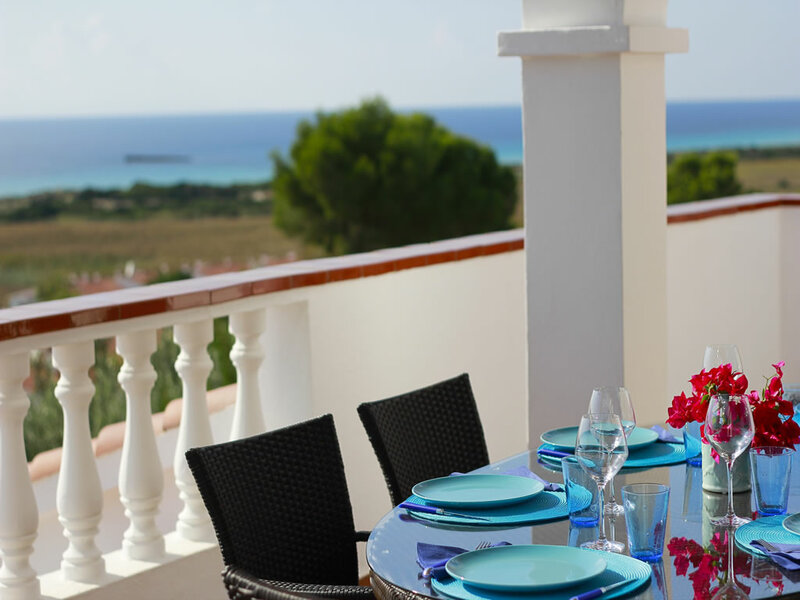 This superb, contemporary villa with stunning sea views and private pool, it’s the perfect choice for a comfortable and a relaxing holiday. Ground floor: 4 double bedrooms (3 of them with twin beds, the other one with a double bed) and 3 bathrooms, two of them en-suite. First floor: spacious, comfortable and lighting living room with a homely décor. From the living room there is an access to the covered terrace where you can enjoy the best sunset views of the island. Next to the living room we find a modern full-equipped kitchen and a toilet. 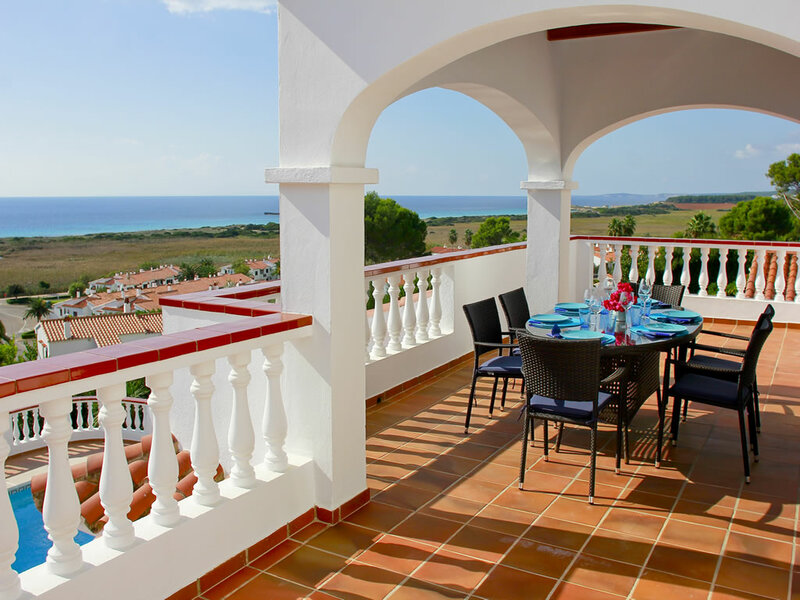 From the upper terrace, we have access to the sun terrace and the built-in barbecue area. The pool is rectangular (depth 0,90m – 1,90m). The terrace area has sun beds and an open poolside shower. 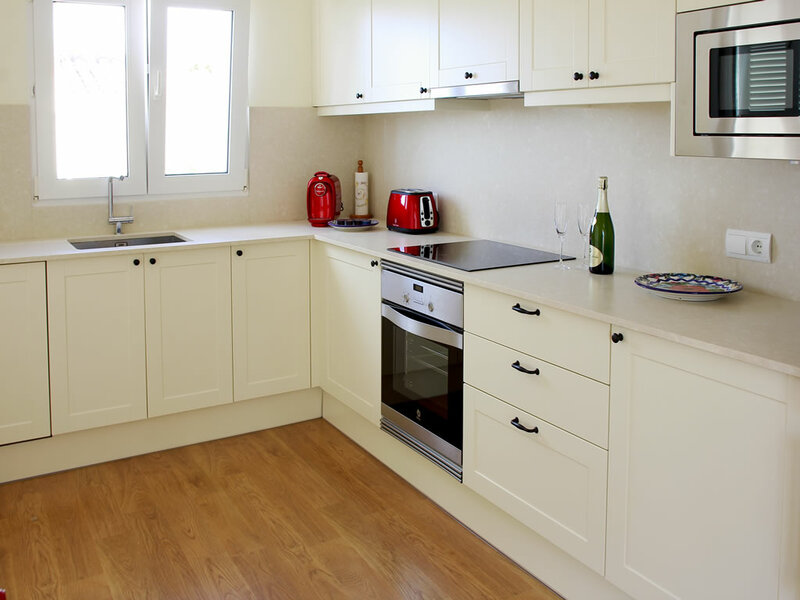 The ground floor has 4 double bedrooms with built-in wardrobes, and 3 bathrooms, two of them are en-suite. 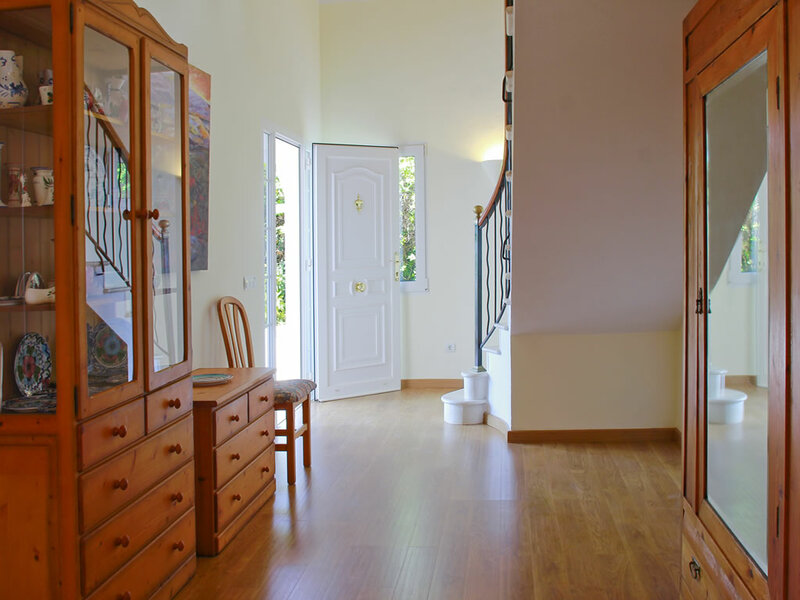 In the upstairs floor, we find the living room with the kitchen, a toilet and a covered terrace where you can enjoy the Mediterranean Sea view. 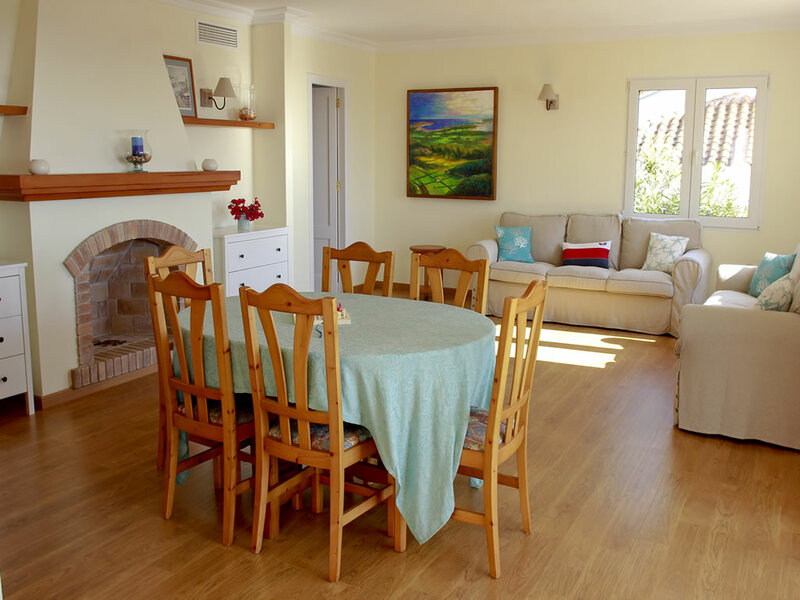 Located in one of the quietest zones of San Jaime, it’s a 10 minute walk to the supermarkets, shops, restaurants and Son Bou Beach. Alternate combinations of durations available. 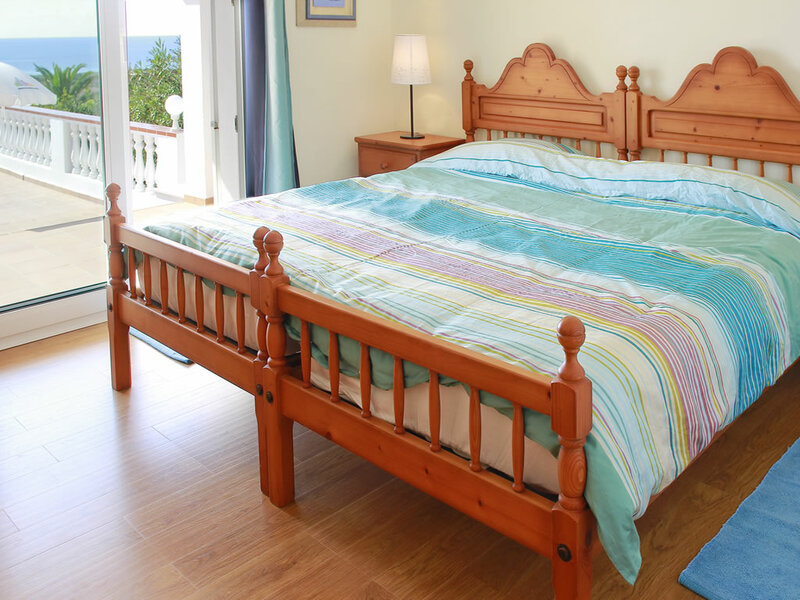 Villa prices and availability are subject to change and confirmation.